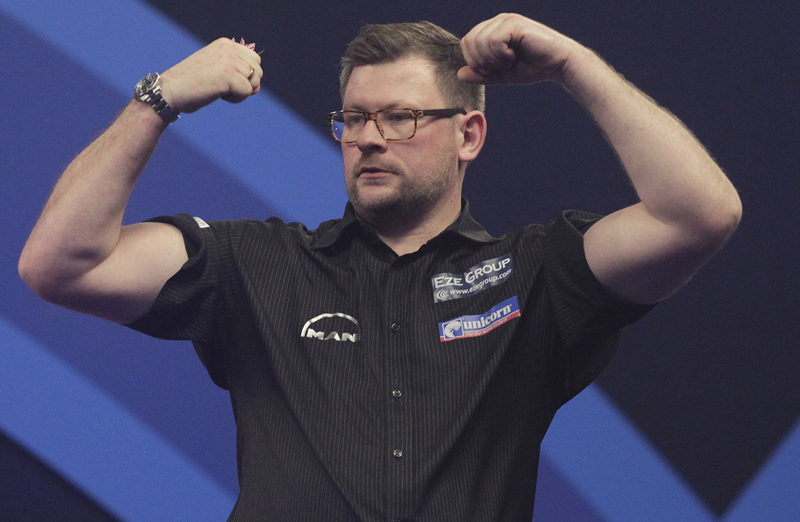 That is a perfect fit for James Wade and in the space of ten days in October and November 2018, ‘The Machine’ won his 8th and 9th ‘Major’ TV titles. After a barren spell of two-and-a-half years without a single tournament win, Wade won both the European Championship and World Series Finals in Dortmund and Vienna.....and all that coming just days after James and wife Samantha became parents for the first time to son Arthur. It was as perfect as it could possibly be for Wade. 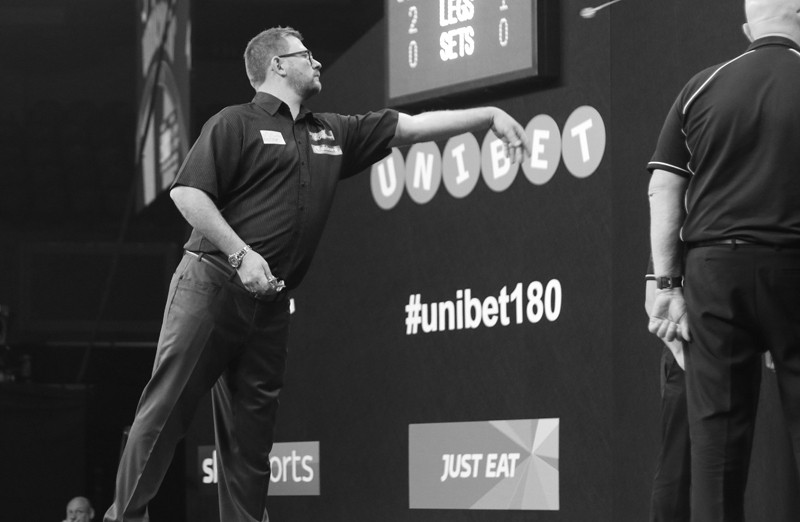 Written off by many as a major player in the world of darts, Wade proved the doubters wrong in spectacular fashion. He survived match darts against Gerwyn Price and Max Hopp in the quarter and semi-finals to win the European Championship crown with an 11-8 victory over Simon Whitlock. A week later, Wade then survived five match darts from Team Unicorn stablemate Michael Smith to claim the World Series Finals. 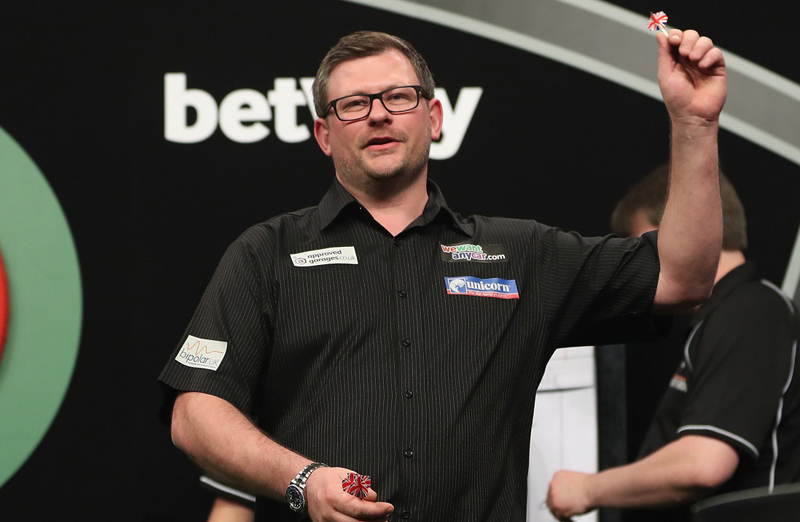 Smith blew his opportunity in a dramatic deciding leg and Wade made no mistake on D18. 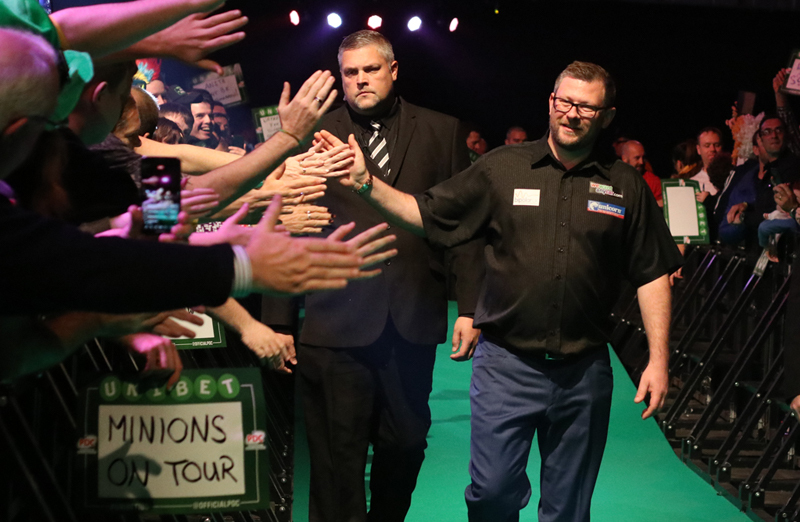 But the sport’s holy grail - the World Championship is still the ultimate and Wade still believes it is his destiny to win at the Alexandra Palace. However NINE Major TV titles is a record few will surpass. To rebuild his career, battle mental illness and come back better and stronger is the ultimate testimony to a man who has always been one of the very best. His ‘Major’ title victories bridge 12 years, starting with the World Matchplay in 2007 and the Team Unicorn star has the ability to add to his haul, but it is the big one at the Alexandra Palace that matters the most. Wade has lost three World Championship semi-finals. 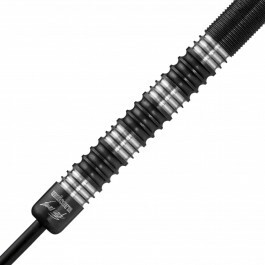 The toughest to take came in 2012 when he led Adrian Lewis by five sets to one but ended up losing 6-5. That very first TV ‘Major’ came when Wade was a fresh faced 24-year-old in 2007. He won the 2007 World Matchplay - widely regarded as the second biggest title in the sport. It was the sign of things to come. 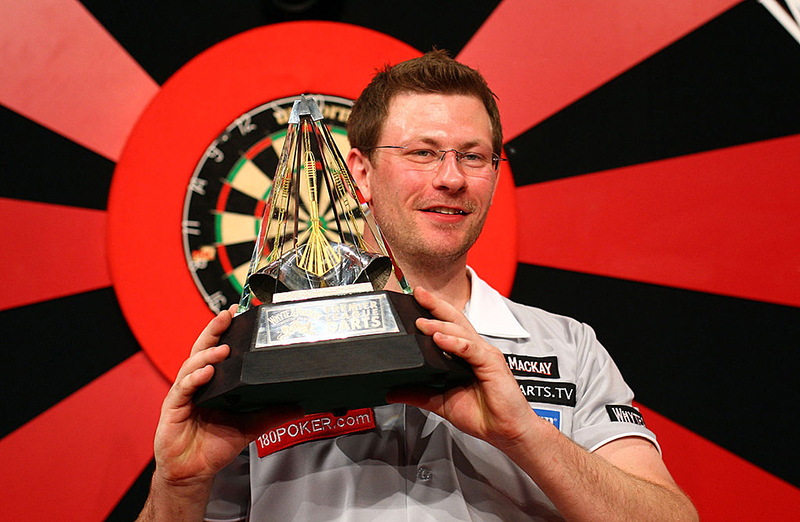 Wade beat Terry Jenkins in the final and at the time he was the youngest ever winner of a PDC ‘Major’. Just a few months later Wade landed No.2 when he again beat Jenkins - this time to take the World Grand Prix crown in Dublin. Six months on and Wade had become a multi ‘Major’ winner as he took out Canadian Gary Mawson to win the FA Cup of Darts - the UK Open in Bolton. In 2009 James was crowned Premier League champion with victory over Mervyn King at Wembley and the following year he won the Grand Prix title for a second time with victory over Adrian Lewis in the Dublin Final……by the way just days later, Wade was victorious over Phil Taylor to win Champions League Darts with a 112 average. That was the behind-closed-doors event staged at Crondon Park in Essex between 2008 and 2013. 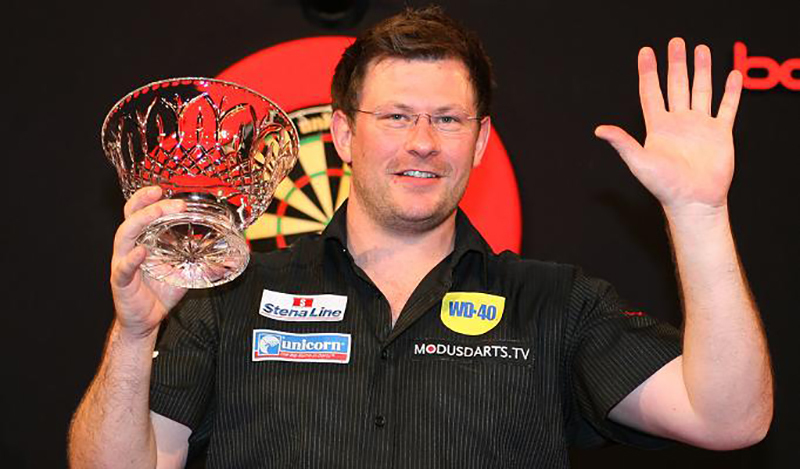 Then in 2011, Wade reigned supreme at Bolton once more as he got the better of Wes Newton to win the UK Open again. He then had to wait three-and-a-half years for his next big TV win, but what a win it was! In one of the most dramatic comebacks ever seen in a ‘Major’ Final, Wade triumphed at the Masters in Edinburgh against a shell-shocked Mervyn King. It looked all over to be honest when the Unicorn star trailed 0-5 and 2-9, but somehow he managed to claw his way back as King crumbled under the pressure. Wade won 11-10 and hit a 135 finish in the deciding leg to claim one of the best victories of his career. No wonder it was named best TV performance of the year at the PDC awards! There have been some disappointments along the way but Wade has always bounced back. Losing that World Championship semi-final to Lewis, throwing away the Grand Slam title in 2010 when he was 8-0 up against Scott Waites and lost 12-16. There was also that incredible Premier League Final at Wembley in 2010 when he was edged out 10-8 by Phil Taylor, who of course famously hit those two 9 darters in the match. They proved to be the difference! Wade has also been beaten in a second Grand Slam Final, a WGP Final and the Las Vegas Desert Classic final back in 2008. In the main though, he can have few complaints. It has been a stellar career to date. It was way back in 2004 when Wade took the plunge to join the PDC. And he hasn’t looked back with incredible success throughout a brilliant career. He has also been a role model to those suffering from mental health issues. Wade has been treated in The Priory for his depression and bipolar issues. He now speaks out on the matter and is a patron of bipolar charities….a shining example of what can be achieved despite mental health problems. James is a role model and an inspiration to many for the brave battles he has fought and won. From being in dark places to coming out the other side. 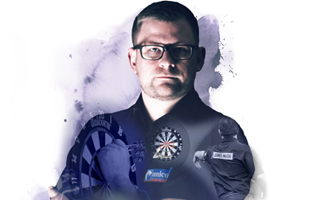 Wade’s career achievements are many and varied….Countless PDC awards, three 9 darters in a year in 2006, the first man to beat Taylor in the Premier League, first 9 darter at the Grand Slam of Darts, that remarkable WGP clash with Robert Thornton in 2014 when both players hit 9 darters in the match, plus many tournament wins on the Pro and European Tours. That remarkable night in October 2014 saw Wade hit 160, 180 and 161 and was soon followed by Thornton’s magical effort. It was a history-making night in the history of PDC darts! Wade is still the only player to hit double-to-start and regulation 9 darters in TV ‘Majors’. His record and his pedigree speak for themselves. From a mechanic by trade, to a fantastic career chucking tungsten! Not bad for a young man who started on the trophy trail by winning the Swiss Open in the ranks of the BDO as a teenager way back in 2002, then lost three sets to nil to Mark Holden in the 1st Round of his 1st PDC World Championship in 2004 at the Circus Tavern.